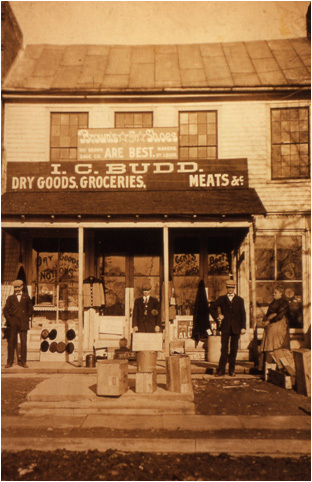 Budd's Store is behind the pole to the right. 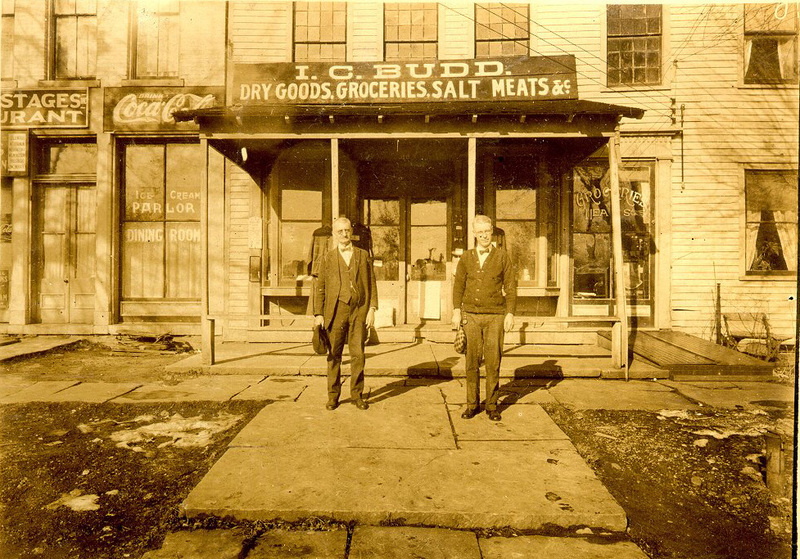 Budd owned all these buildings. Fires took the buildings. 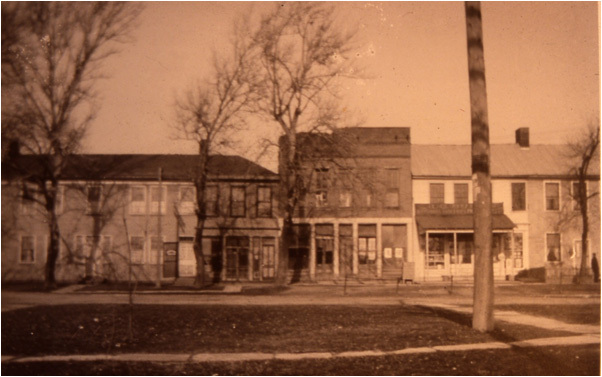 Unknown people in front of the store. 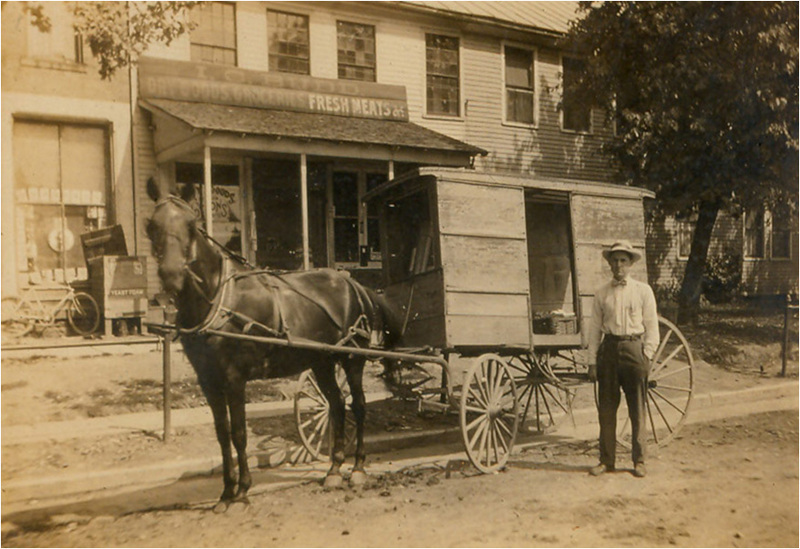 A wide variety of merchandise is shown here. 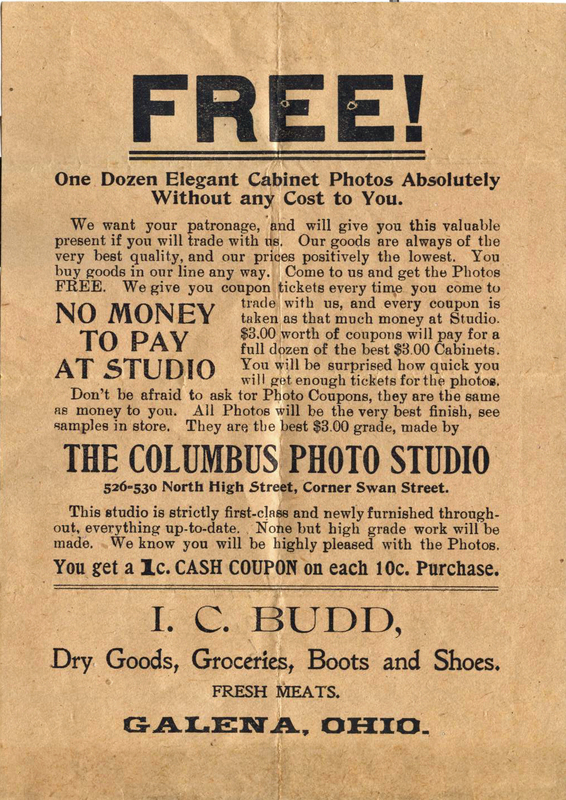 Coupon tickets towards Cabinet Photos (photos you framed and set on the parlor cabinet as opposed to cdv's or wall hangings) were used as incentive to shop with Budd. Note the handbill below.